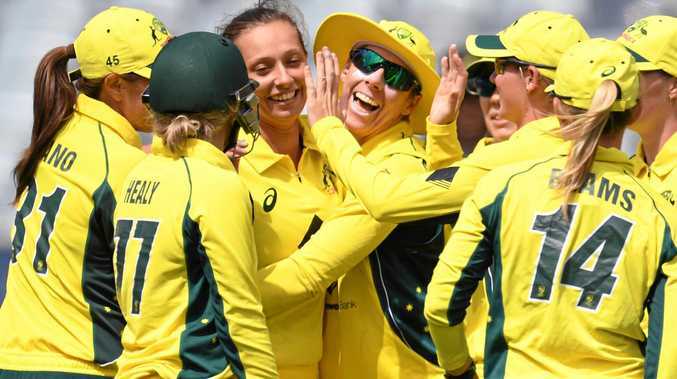 CRICKET: Australia's women's cricket team could come home upwards of a million dollars richer if they're able to win back-to-back titles. The ICC have announced the prize money for this year's women's World Cup in England will increase to US$2 million, 10 times what it was in 2013. With the winner's prize likely to be more than a quarter of that and possible allocations for pool match wins, there is a lot of incentive for Australia to defend their title in July. ICC chief executive David Richardson said the women's game had come a long way in a short time but there was still more to do. "The ICC Women's World Cup is the pinnacle of the women's game and as such the players should be rewarded appropriately," Richardson said. "Two million dollars is the first step towards greater equality and recognition. The prize fund for the 2013 edition was just $200,000, this was originally increased by the ICC to one million dollars in 2015 but this announcement shows a greater level of commitment than ever before. "We think the Women's World Cup this summer will be a turning point in the history of the game. "There is growing interest globally in women's sports and we want cricket to be front and centre of this and lead by example." All matches at the World Cup will be broadcast live with 10 games, including the semi-finals and final to be shown live on television and the other 21 live-streamed online. Two former Australian players and commentators will be part of the coverage, with Lisa Sthalekar and Mel Jones part of the World Cup broadcast team. "It's such an exciting time for women's cricket and so to be calling the action on their biggest stage will be a real thrill," Sthalekar said. "With the growing professionalism in the women's game, there's no better stage to showcase how far it has come in such a short period. I can't wait to be a part of it." The World Cup final will be played at Lord's on July 23. Only 16 women's matches (15 ODIs and one T20) have been played at the ground, seven of which have featured Australia, their last appearance in 2013.